Georgia arrived at MGM in Culver City. She drove to the main gate in her MG with the top down. The guard had her name and directed her to Stage Fifteen where Elvis was shooting his new musical. Georgia had changed her clothes. She wore a bright blue tight sheath dress, cut low in the front. The color matched her blue eyes. Her hair fell around her shoulders. Clint stood waiting outside the stage door when she arrived. Georgia parked her car, and joined him. “Thanks, she said, as Clint opened the stage door for her. They walked into the brightly lit stage. Elvis stood in the center rehearsing a dance number with a big group of dancers and singers in the background. His costume was powder-blue western in style, with white fringes hanging down from the sleeves. The other dancers and singers dressed the same, but Elvis’s costume had more glitz. The part Georgia came to read for was small, but the chance to be in an Elvis Presley picture mattered more than the part. Elvis had to be the biggest star in Hollywood. His pictures made big money. Elvis’s entourage of guys made all the work seem like a party. Georgia and Clint watched the rehearsal from behind the large camera boom, as it moved in on Elvis for the final close up. A couple of Elvis’s boys spotted Georgia and approached her. “Hi, there pretty girl. You in the picture?” One of them asked. “Oh, hi, I’m Georgia Evans. I don’t know yet. I’m here for an interview,” she said. Elvis had finished the production number. His attention had taken him where Georgia stood on the set talking to one of his guys and walked over to them. “Elvis, this pretty little girl is Georgia Evans,” said the cousin. “Pleased to meetya.” Elvis took Georgia’s hand up to his mouth and flicked the tip of his tongue between Georgia’s fingers, which raised goose bumps all over her body. “Thanks, Charlie. Well, pretty girl, don’t you go away,” he said as he left for the set. He stopped by a man wearing a fedora hat and smoking a cigar and spoke to him as they looked toward Georgia. Clint recognized the man as the producer, Sam Katzman. Clint said. “Let’s say I’m chalking it up to experience,” he said with confidence. Sam Katzman came over and shook Clint’s hand. Clint introduced him to Georgia. 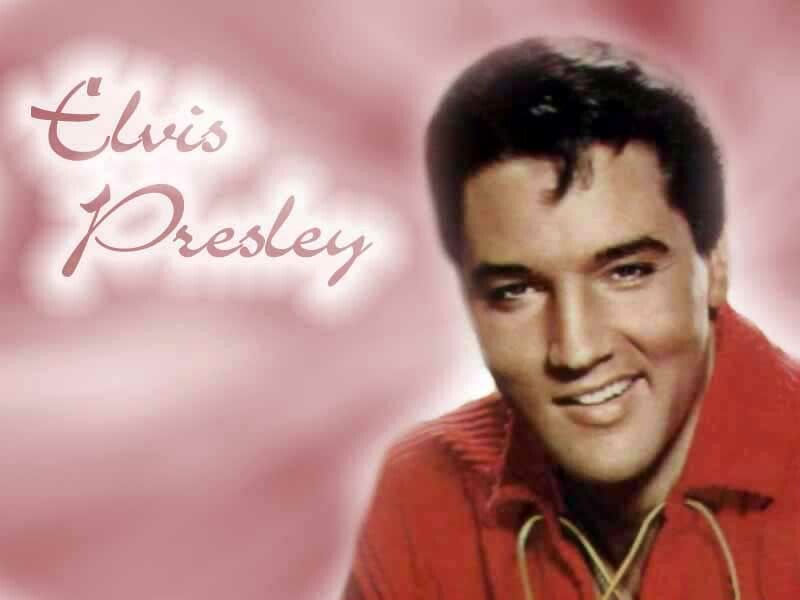 “Elvis told me he wants your little girl here for the part of “Traci, says he knows her work. I’ll get back to you tomorrow about the money and billing. It’s a nice part for her. Should get her some recognition.” He tipped his hat to Georgia and went back to his position on the stage. “Quiet on the set. Ready to roll.” yelled the assistant director. The bright klieg lights switch on. Everyone quieted down. Elvis and the dancers stood in their places. Someone yelled “speed”. The director yelled “action” from up on the camera boom. The music started; the dancers went into their routine. It was to be the usual Elvis number with lots of pretty girls dancing around him. Elvis, playing his guitar, sang a country western song in a barnyard set. “That’s a take.” said the director. The crew set up for the next shoot. Elvis’s cousin came over to Georgia after the shot. “Isn’t Elvis great? I love my old cousin. He told me to tell you that he’s havin’ a party tonight at his house. Wants you to all come. Here’s his address. He says about nine o’ clock,” said the cousin as he handed Georgia a small piece of paper. Georgia was near tears. They left the stage to return to their cars. When they got outside Clint could see that Georgia had been crying. Clint threw his hands into the air. “Georgia, it’s one of those situations. “No ticky, no washy.” Georgia nodded her head as she got in her car. She looked up at Clint with tearrimmed eyes. “I’m sorry, Clint. I can’t do it.” She started her car and drove toward the gate. Clint stood in disbelief as she drove away. This entry was posted in Uncategorized and tagged Elvis, Elvis presley, hollywood, Hollywood novel, King of rock, novel. Bookmark the permalink.